The restaurant supply superstore is the online leader for bacon bits and other salad condiments including salad dressings. Try our pure bacon bits or the cheaper imitation bacon bits for your restaurant buffet or salad bar. They are great on salads, baked potatoes, and french fries. Custom Culinary Gold Label Bacon Base No Msg Added - 1 Lb. 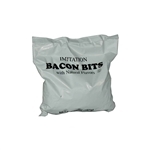 Rytway Imitation Bacon Bits - 10 Lb. 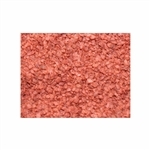 Rytway Imitation Bacon Bits - 20 Lb. Rytway Imitation Bacon Bits - 14 Oz. Redi Bits Pure Bacon Bit Crumbles - 4.5 Lb. 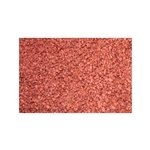 Buy wholesale bacon bits for your restaurant salad bar, buffet, baked potatoes, cafeterias and more. They add great flavor to every meal.